I know, I know, I haven't been blogging for awhile. I won't try to make excuses but will just try to get back in the grind this week (despite a very hectic sched). I really just want the days ahead to pass by... especially that my mom death anniversary is fast approaching. But even with such things approaching, there are just some events that you look forward. Like just last tuesday. I was able to spend some quality time with my best friend, Cam, in elementary. I went with her to Ellana sales office in West Avenue. She hoarded quite some good finds that she is extremely enjoying in her flights (she's a flight attendant soon to be pilot). We had late snacks at Don Henrico's (walking distance from Ellana). After which we chatted more at Starbuck's. It was also a pleasant surprise that her mom invited me over to their new place where I got to see Cam's fam again after more than a decade. Thanks to Facebook, I was able to reconnect with a dear friend. Until now I can't believe how alike we still are in so many ways. Of course, I didn't leave Ellana empty handed. 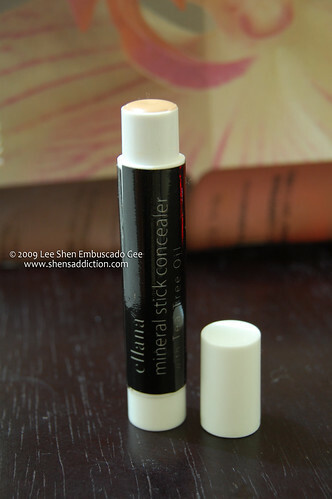 I got myself of one their newest product, Ellana Mineral Stick Concealer in Neutral Golden Beige. Or what I would call a yellow undertoned concealer. 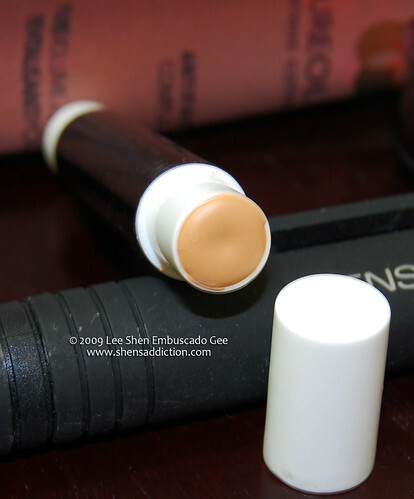 I'm sure most of you are eager to know the consistency and lasting power of this concealer. At first, I was expecting a gooey-alsmost-paste like texture but I was quite please that it was not at all. The Ellana Mineral Stick Concealer has a smooth and soft consistency that provides an even application. 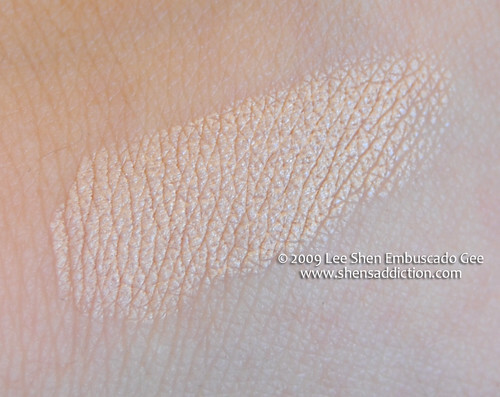 Not the soft type that it would instantly melt upon application but the blending is super easy. It covers my dark marks quite well especially when i top it with my favorite mineral concealer Radiant, which sets the stick concealer beautifully. 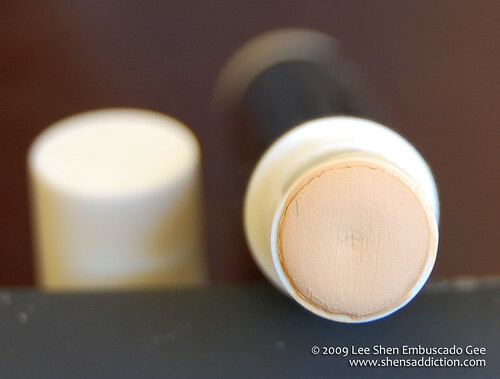 Suffice it to say, for a mineral stick concealer, this one surpasses most expectation. As for the lasting power of this concealer, I would advice those with oily skin like me to not forget setting it with mineral powder concealer to make it last longer. But with those less oilier or fortunate people who doesn't oil up at all, this concealer will surely be you new best friend. The travel size tube is really handy for a quick touch up. Ellana Mineral Stick Concealer has replaced a high end concealer that was residing in my kikay kit for more than a year already, it's that good. 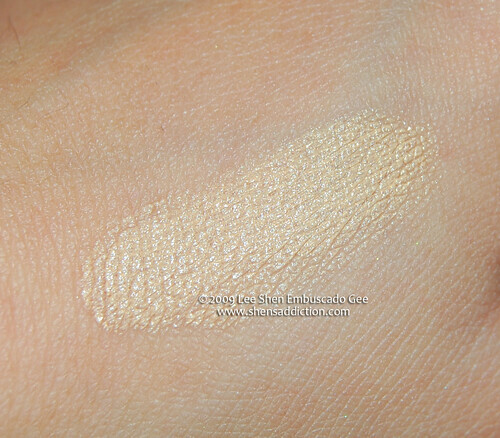 The Alive shade, a Neutral Golden Beige is what I would call a yellow undertone shade. It is similar or within the same shade family of NC of Mac and Beige of NYX. It is great for the pinay skintone as most us are yellow undertoned. Meaning you can use this either for blemishes or undereye dark circles. Although the Refresh variant is so much better for under eye for it is a neutral salmon which has a pink undertone. For better to cancel out the purple shade, my dear. I miss you all, ladies!